Rosenbaum Squash Center at Wesleyan. 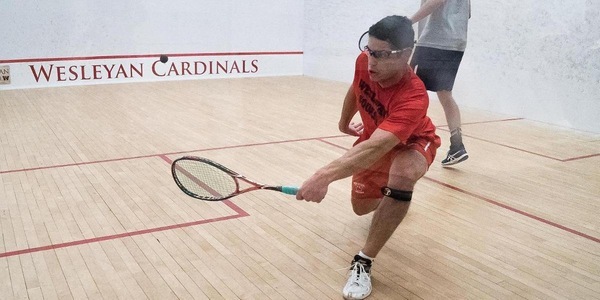 This spring, the Department of Athletics is offering Wesleyan Community Racquet & Fitness, a new fitness initiative at the Rosenbaum Squash Center. Both individual and small group lessons will be available. Classes will be taught by Assistant Squash Coach Tim Bacon, a certified squash, tennis and badminton coach. Bacon is a former world #23 in Racketlon and has taught all five major racquet sports since 1977. “Dates have not been finalized, but I am eager to start as people get keen on fitness now that the weather is nice,” Bacon said. To register use the CoachUp lesson booking system or e-mail Bacon at tbacon (at) wesleyan.edu.